Thanks for joining us! The site you are currently enjoying has been produced by a group of University of Mary Washington history majors as part of a seminar called Digital History. Our “Historical Marker Project” was a semester-long project. 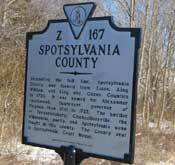 Our objective was to create a functional website containing the Fredericksburg City, Stafford County, and Spotsylvania County Historical Highway Markers of Virginia. For each marker, we provide extended research and further reference material for history enthusiasts. 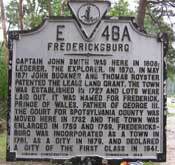 All in all, we researched and summed up 70 Markers in and around the Fredericksburg, Virginia area. In addition to this research, we created a timeline chronicling the markers’ events. The timeline includes a brief history of the Virginia Marker Program itself, conducted by the Virginia Department of Historic Resources. Each event on the timeline includes a link back to its corresponding historical marker page. Please enjoy the fruits of our labor; we learned a lot and we hope you, too, can benefit from this project! 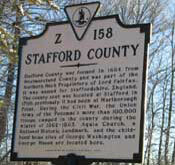 To navigate our site you may choose to sort the historical markers by category, by county, or by century. All three are located on the left sidebar. Alternatively, you may search by keywords using either the search bar on the left, or the Tag Cloud page. If you already know the name of the marker you are interested in, you may want to view the All Markers page. This page lists all of the links for the marker pages by county. Each individual marker page includes links to relevant information through the extended research section. By clicking a link, you will be redirected to another marker that shares that common word or phrase. Last, if you care to know more about us you can read our individual biographies.